How can I set up sets of cached and dependent filters in the view to reuse across multiple reports? You can accomplish this through the use of Yellowfin 6.2’s new View Filter Groups. These were designed to prevent repetition in the creation of common filter groups, and allow for a single cached value set, rather than values stored per report. 1. 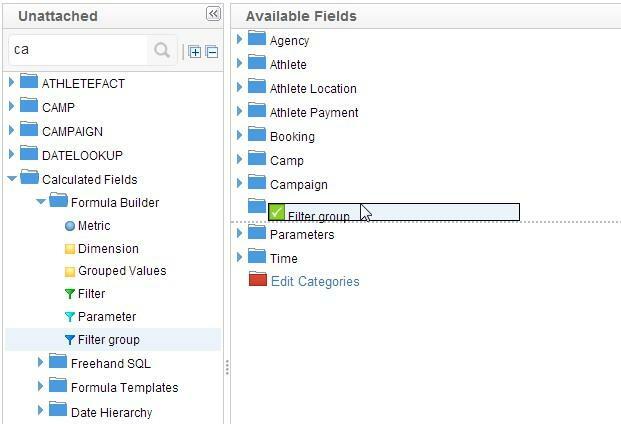 Edit your View, adding a Filter Group from the Calculated Fields > Formula Builder folder on the left to the Available Fields panel. This will work as the container for the filters in your group and will be the only field you need to add to your report to use the filters. 2. Add the required filters to your Filter Group making sure they are listed in order of dependency. This will make is clearer when setting up hierarchies and upon display to the user in the final report output. 3. Apply any formatting, caching, and dependency settings as you would normally at the report level. See Cached Dependent Filters for more information. Any caching you define here at the view will be used on the reports, meaning that this set of filters only has to be stored once, rather than caching values each time the set is used on a report (which was the method before). 4. 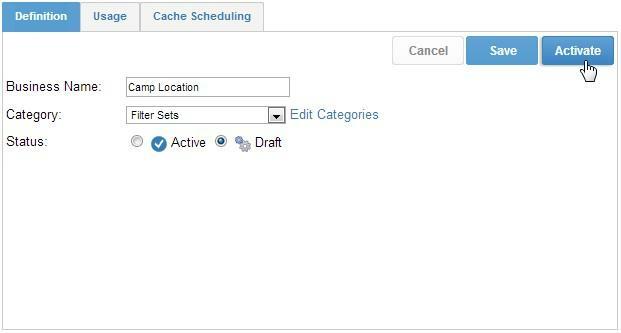 Double click on your Filter Group and provide an appropriate name, description, and cache schedule, activating it when complete. 5. 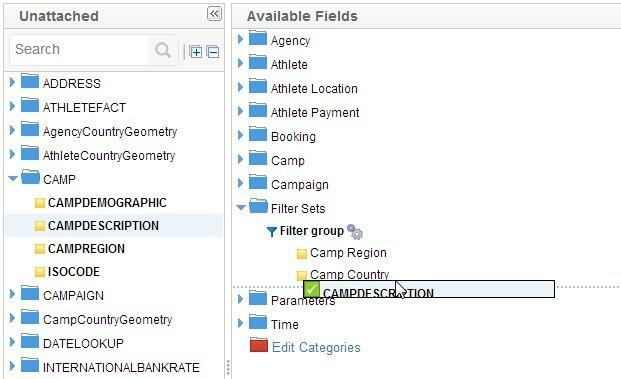 You will now have a predefined filter group available for use in the Report Builder. 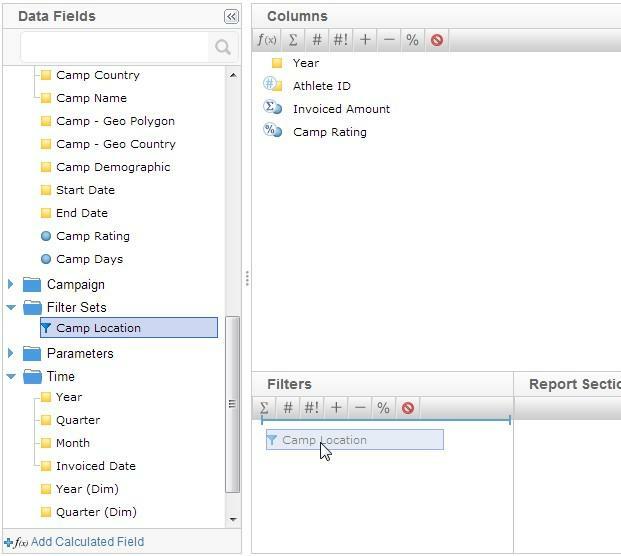 Simply drag this field into the filters area of the Report Data page. You’ve now created a set of filters to reuse across your reports, and saved yourself a lot of setup time.